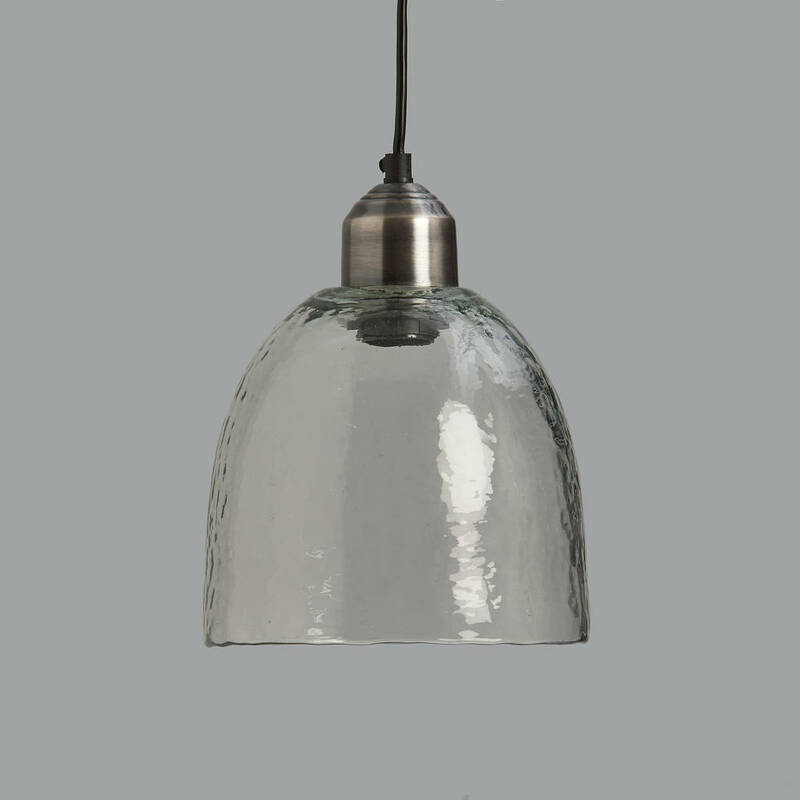 This pendant light is made by hand from recycled glass and given a rippled finish which emits a soft, diffused light. 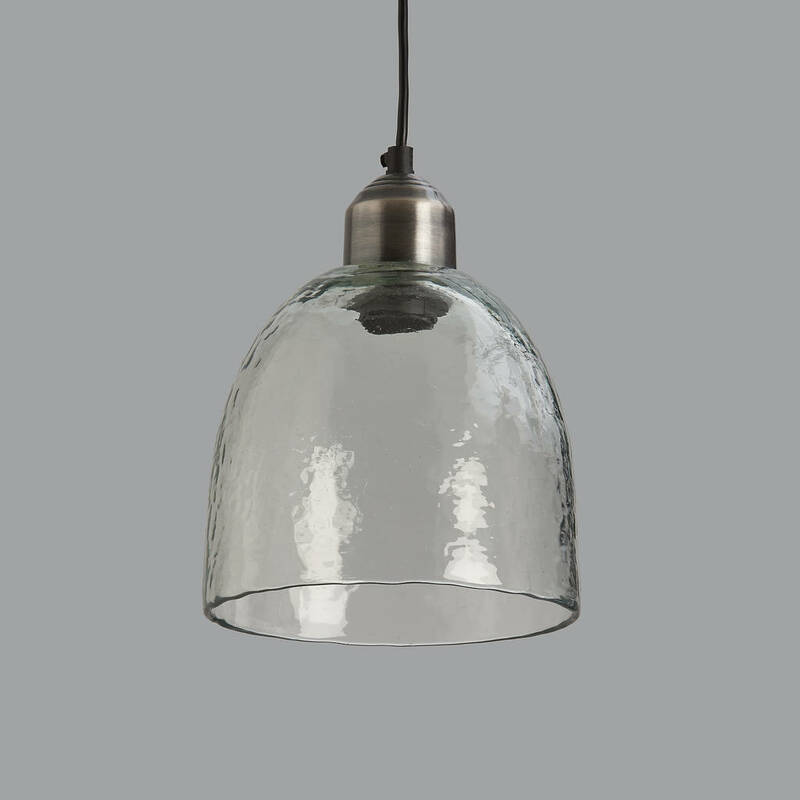 It comes with 100cm of flex that can be shortened to any length and matching brushed nickel bulb and ceiling fittings, as shown. Perfect for almost any room, they look great on their own or in 2s or 3s etc. 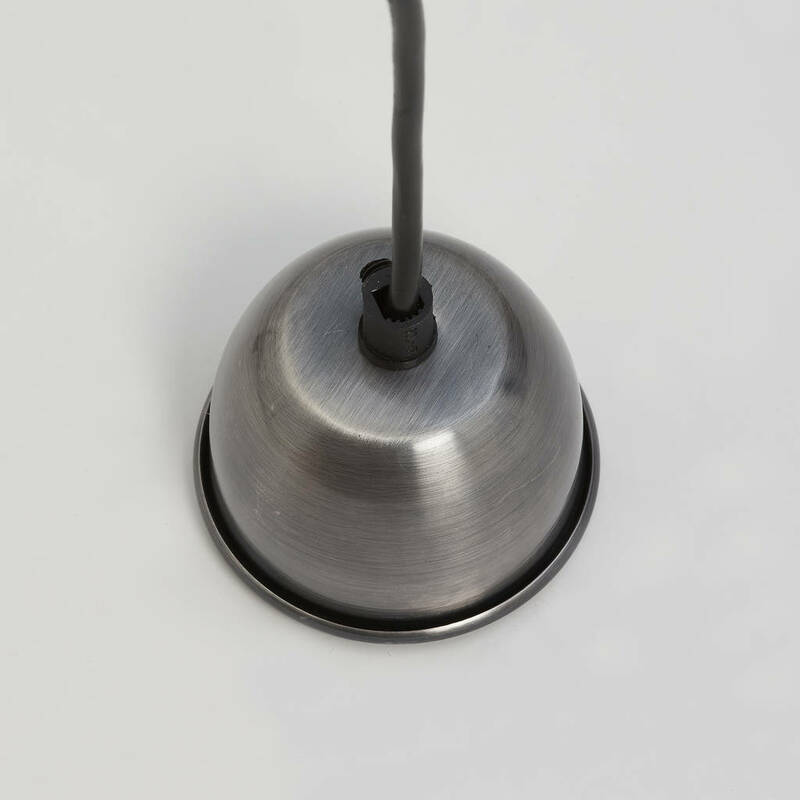 Takes an E27 bulb (large screw) and is dimmable (up to 25W or low energy equivalent). 25cm high x 19cm dia. This product is dispatched to you by horsfall & wright.